The clients had a pretty clear idea of what they wanted. 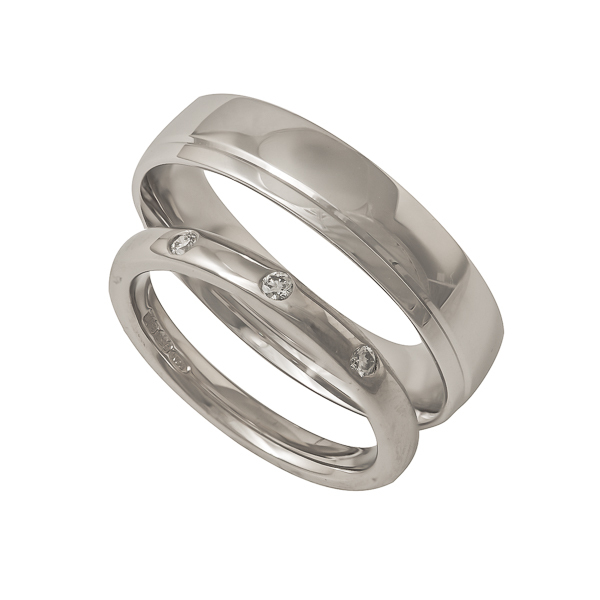 Laken’s engagement ring was made from palladium, and therefor I advised a palladium wedding ring. She knew she wanted a bit more sparkle and we decided on 3 compression set brilliant cut diamonds. Simon had never worn jewellery before and it was decided a light weight court section would be the most comfortable after he tried on some samples. He wanted something a bit different and went for a groove engraved off centre to add distinction.